Located on Dubai's The Walk, is the stylish Movenpick Jumeirah Beach just a short walk from shops and restaurants of 'The Beach' mall. 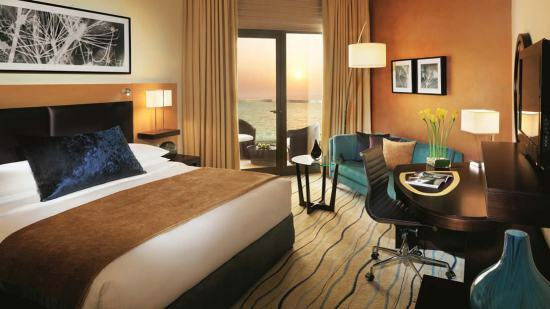 A 5-star resort, it features 295 rooms and suites some with beautiful sea views and all with chic and contemporary decor. 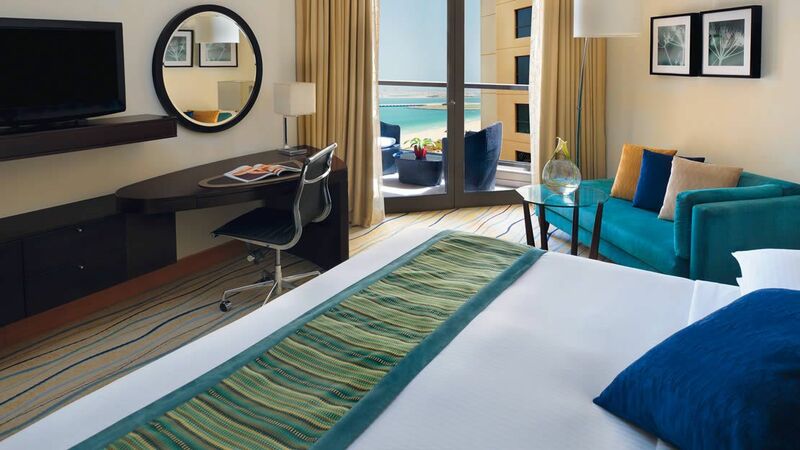 Expect free Wi-Fi and suites of the highest standard with separate rooms to accommodate families comfortably. There are superb dining options both in resort and surrounding Movenpick Jumeirah Beach Hotel with several award-winning choices. Guests can indulge in sporting and leisure facilities, stunning pool area, gymnasium and wellness centre plus a host of other facilities and privileges. 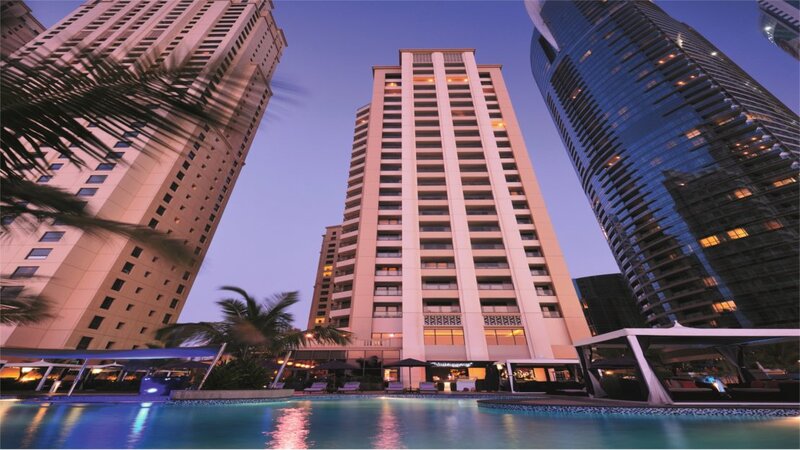 The hotel is directly across from the stunning JBR beach. Shopping, dining and entertainment are all on your doorstep when you stay at this hotel, stroll along The Walk, for boutique shopping, cafes, restaurants and watersports. Dubai International Airport is approximately 33km from Movenpick Jumeirah Beach Hotel. 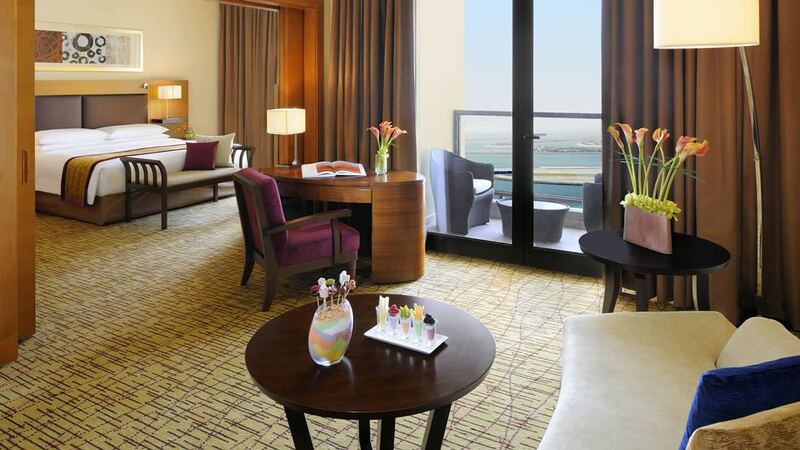 The basis of Movenpick accommodation, Superior rooms are filled with luxuries and comforts. Views of Jumeirah Beach Residence can be enjoyed from the balcony and all of the standard provisions apply. Enjoy access to the lounge and a choice of king- or twin-beds with this accommodation. Rooms are 35 square metres in size. 70 square metres of accommodation is geared towards comfortable family living with plenty of child-friendly options. There is a king-size bed and sofa bed, work desk, welcome gifts for the children plus their own robes and slippers and a host of standard provisions. Perfect for business or leisure travellers, the Executive Suite comprises master bedroom, living room and ensuite bathroom with tub and shower. 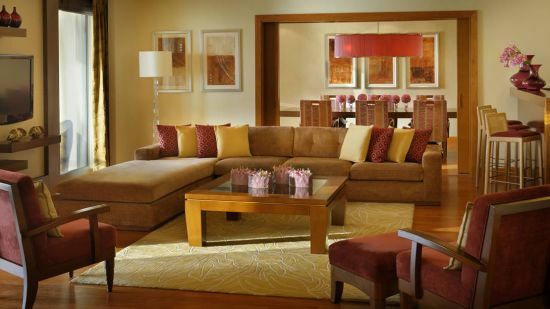 There is free lounge access and breakfast and Wi-Fi plus return airport transfers.. 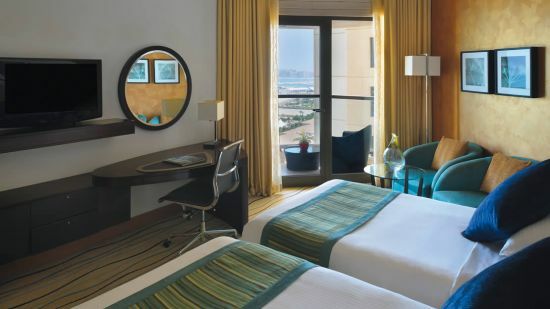 The finest of Movenpick Jumeirah accommodation, the Royal Suite is an impressive 140 square metres of style and comfort with a king-size bedroom and separate lounge and dining area. The private terrace offers views of the Jumeirah Beach Residence neighbourhood and the suite easily accommodates up to 4 adults or 2 adults and 2 children. Access to the Executive Lounge and a work desk area is also provided. This is an all-day dining venue where open show kitchens, indoor and outdoor seating and a range of theme nights add to the vibrancy. A poolside bar leading through to an indoor lounge, urban chic is the theme here with some of the dishes of New-York and classic beers and wines. Savour the restaurant offerings of fresh seafood, succulent steaks, and a variety of others delicious cuisine. This is the restaurant area of an engaging bar, lounge and restaurant venue. This is the place to catch up with all your sporting events whilst enjoying a modern pub menu and entertainment. Enjoy fresh coffee, light snacks and ice cream at this daytime venue.